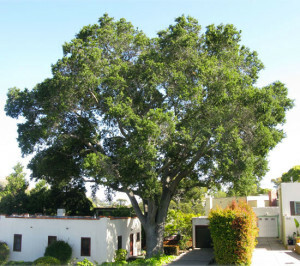 In certain areas of the City of Los Angeles a Protected Tree Survey Report is a required prior to obtaining Building Permits. If you are a developer or homeowner with the presence of Protected Trees on your lot or even on the adjoining properties the City will require a Protected Tree Survey Report before issuing permission to move a project ahead. Even a simple expansion of a driveway’s entrance off the street may be complicated by the presence nearby City parkway tree. As an experienced and credentialed ISA Certified Arborist – I provide balanced and honest Protected Tree Survey Reports acceptable to the Department of Urban Forestry of the City of Los Angeles to help you move your project forward. In addition to reports successfully submitted to the City of Los Angeles, I’ve worked with the Cities of Beverly Hills, Glendale, Pasadena and South Pasadena and others. Since each municipality operates its own department with its own rules, regulations and requirements. GIVE US A CALL AT (323)664-9473. Did you know that you may need a permit if you want to prune a city tree or a protected tree? In recent years, irregular and infrequent pruning by municipalities has lead some businesses and homeowners to undertake the care of the City Trees located in front of their properties. This is especially true when you inquiry when the next pruning of your street tree will be and get a “we’ll prune that tree in front of your house sometime in the next 18 years” message. Please be aware that although your intentions may be good, you will need permission from the city in the form of a permit to be issued to the property owner which carries both rights and responsibilities. These permits often specify that an ISA Certified Arborist undertake the work to ISA BMP (Best Management Practices) standards. Failure to secure a permit could result in fines and more. Let us help you acquire the necessary permits. We have experience with acquiring and executing such permits for a variety of cities and within the framework that your city requires. GIVE US A CALL AT (323)664-9473. Call The Urban Lumberjack (323) 664-9473 or contact us here to inquire about our services.